A big congratulations goes out to Michael C Hall, Julia Stiles and the Dexter show itself for the announced Golden Globe nominations. Michael was nominated for Best Performance by an Actor in a Television Series. Julia’s nomination is for Best Performance by an Actress in a Supporting Role in a Series, Mini Series or Motion Picture Made for Television. A third nomination was handed down for Dexter in the Best Television Series – Drama, category. Here’s hoping for triple wins! 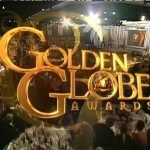 The Golden Globe Awards will air Sunday, January 16, 2011 at 5pm PST on NBC. I cannot wait for the Golden Globe Awards. I stinkin’ love it and I look forward to it every year.